The new dbplyr is out on CRAN today, and I’ve wanted to update my MySQL Lahman baseball database with 2017 data, but it’s only available in .csv files and MS Access versions. I could import the .csv files, but thought it would be useful to show how I convert an MS Access database into MySQL using MS ACCDB Viewer, This application has a free trial (the paid version is under $20). I rarely recommend purchasing software, but if you use macOS and find yourself needing to get into an MS Access database, this tool comes in handy. These are the packages you’ll need. I created an RStudio project file inside a mysql-mdb-accdb folder (mysql-mdb-accdb.Rproj). If you don’t know how RStudio’s project files work, see this post for more information. Inside this project folder, I created another sub-folder titled databases. I wanted to separate these files by type, so I created a new folder for each version of the 2017 data. After downloading the data, the full folder tree is available below. Download the MS ACCDB Viewer app and the Lahman 2017 MS Access database and .csv files. I’ve created the following sub-folders for the two types of Lahman database files. Open the MS Access database in the MS ACCDB Viewer app and follow the steps below. 3. After the database exports, you will see a new lahman2017.sql file in your databases/sql. This file is too large to open in RStudio (it’s 46.4 MB), so I’ll open it in a text editor (I use Sublime Text, but many others will work). If you haven’t done a lot of work in SQL, you will have no way of knowing if this SQL export is ready to be loaded into MySQL (I didn’t know what to expect until I did a lot of reading and trial and error). However, I can look at the 2016 MySQL database from the Lahman website to see what to expect. Below are the first 50 lines each SQL file (2016 on the left, 2017 on the right). In previous posts, I mention opening and using Terminal. RStudio also has it’s own Terminal pane (see below). This is accessible under Tools > Terminal > New Terminal. In a new Terminal pane, enter the following commands. This returns what looks like a long and convoluted file path (this is normal). Enter your password and you should see the mysql> prompt. I want to check the databases in MySQL before adding the new lahman2017 data, and I can do this with SHOW DATABASES;. Because I moved into the sql folder, I can execute the lahman2017.sql file by entering source lahman2017.sql into the MySQL prompt. Great! Now I have the new database set up in MySQL. I am going to connect to RStudio and start querying. 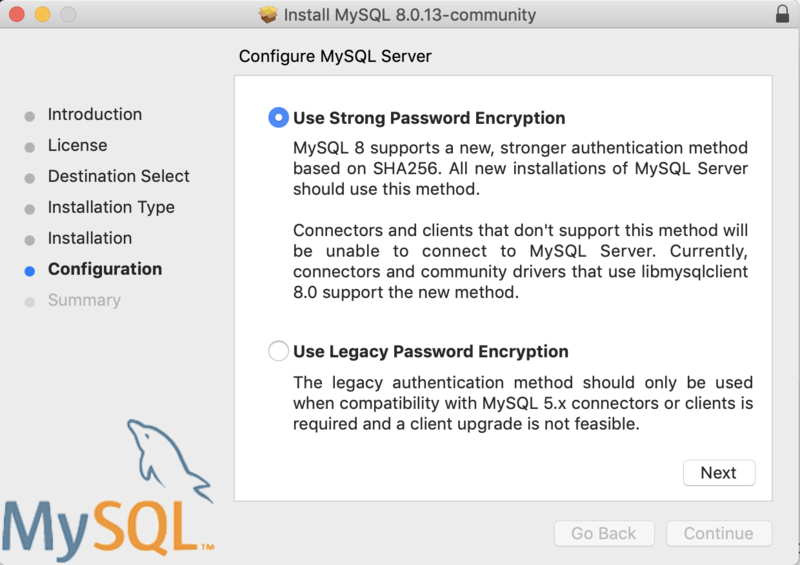 Before connecting to MySQL from RStudio, you might need to change a few settings for MySQL in the System Preferences. In the previous post, I set up my connection to RStudio using the DBI package. This time I will set up my connection with the dplyr package (part of the tidyverse). The function that does this is dplyr::src_mysql(), and I include arguments for dbname, host, user, and rstudio::askForPassword("Database password") which prompts a fill-in box for my password. Print the LahmandplyrMySQL object to the console. As I can see, this prints out much more information than the DBI connection in my previous post. The LahmandplyrMySQL object tells me the source of the connection and the tables in the database. One notable change: The name of the table that contains biographical information for players has been changed from “Master” to “People” top better reflect its contents. This information saved me from some potential headache’s (my previous query on the Master table would give an error). In the next section, I’ll go over the new changes in dbplyr with the dbplyr connection. The dplyr::tbl() function takes the src argument which is the connection to the database (LahmandplyrMySQL). The next argument is sql(), and this is a character string (inside " ") which SQL commands. I like to capitalize the MySQL syntax, refer to tables in SQL with TitleCase, and the columns in lowercase. 1) Calls of the form dplyr::foo() are now evaluated in the database, rather than locally. I also pass everything to the dplyr::glimpse(78) so it prints nicely to the window. 2) The vars argument to tbl_sql() has been formally deprecated. If known, the names of the variables in the tbl. This is relatively expensive to determine automatically, so is cached throughout dplyr. However, you should usually be able to leave this blank and it will be determined from the context. 3) src and tbl objects now include a class generated from the class of the underlying connection object. This makes it possible for dplyr backends to implement different behaviour at the dplyr level, when needed. I assume this is visible in the str() and class() using the previous query. ..- attr(*, "class")= chr [1:4] "src_MySQLConnection" "src_dbi" "src_sql" "src"
.. ..$ x   : 'sql' chr "SELECT * FROM People"
.. ..- attr(*, "class")= chr [1:3] "op_base_remote" "op_base" "op"
..- attr(*, "class")= chr [1:3] "op_filter" "op_single" "op"
I will skip over The new as.integer64(x) is translated to CAST(x AS BIGINT). cummean() now translates to SQL AVG() as opposed to MEAN(). The cummean() is an aggregate window function. It works by keeping track of 1) the running sum of a values, and 2) the ith (or count) of the values. There is a great example of how this works on StackOverflow here. I created an example data frame below to show how this works. This is the cumulative mean of RBIs in the 2017 Batting data table. Compare this to the mean RBI per player. Moving form one relational database management system to another can slow down your workflow, so having (inexpensive) tools to quickly transform a database into something you can work with is a time-saver. I don’t like leaving the RStudio IDE (unless it’s to my browser), so the quicker I can get my data source into this environment, the quicker I can get to work on it. Next post will probably be on PostgreSQL. This tutorial was written in RMarkdown in RStudio (version 1.2.1206, R version 3.5.1), using mac OS High Sierra (10.13.6). PostgreSQL is an open-source relational database management system (RDBMS). You can install PostgreSQL on Linux, Unix, Windows, or Mac. Users can write and execute stored procedures and functions from other programming languages (like R and Python). Multiple data types can also be stored (and even defined) in PostgreSQL, including JSON and other nonrelational data. Read more about PostgreSQL here. Download the application from this website and follow the installation instructions. The syntax documentation for PostgreSQL is here. You’ll be asked to enter whatever password you need to install programs on your computer. Type it in and hit enter. You can also install PostgreSQL using homebrew. If you don’t have homebrew installed, learn how to do so here. Read the documentation for a more in-depth explanation. In a fresh Terminal session (If you are using RStudio’s Terminal pane, select Tools > Terminal > New Terminal), enter the following. This will bring up the psql command line. The =# is where we will be entering our postgres commands. PostgreSQL typically returns the command that was previously executed. Because CREATE USER is another spelling of CREATE ROLE, PostgreSQL returns CREATE ROLE in the command prompt. I will check to make sure this is true with \du again. And I can verify this with the \du command again. This brings up a new PostgreSQL prompt. The =>tells me I am no longer the Superuser, but I know that I have given martymcfly the relevant permissions to create a new database. Below are the steps needed to 1) create a new database (I’m creating a Lahman baseball database in PostgreSQL), 2) grant privileges to the user martymcfly on the new lahman2017 database, 3) list all the current databases in PostgreSQL, and 4) connect to the lahamn2017 database. You are now connected to database "lahman2017" as user "martymcfly". Great! Next time we will build the schemas and tables in the lahman2017 database. 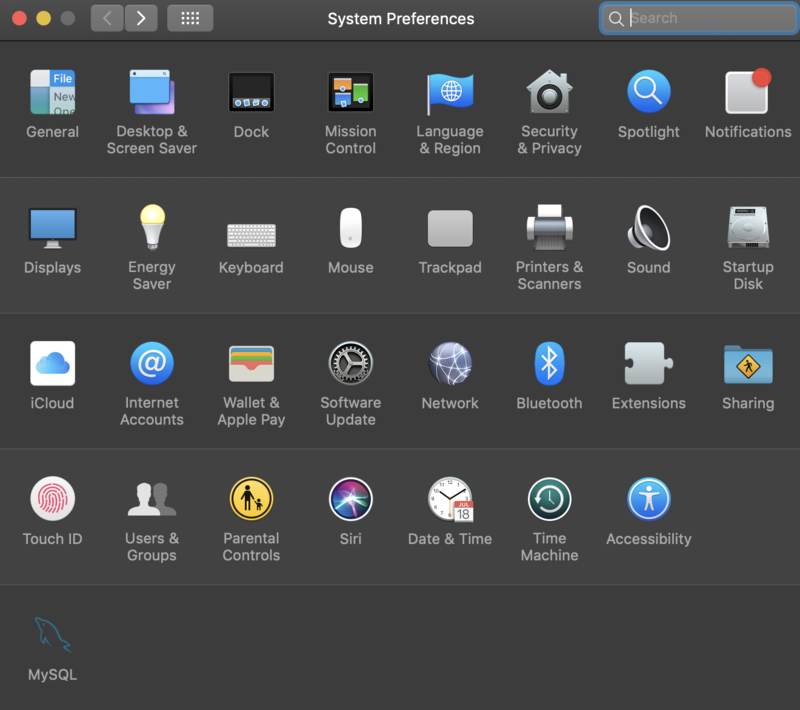 This quick tutorial covers how to set up and query a MySQL database from the command line (Terminal) on macOS Sierra. The SQL in MySQL stands for structured query language. There are half a dozen flavors of SQL, and MySQL is one of the most common. The My comes from the name of co-founder Michael Widenius’s daughter (fun fact: another flavor of SQL, MariaDB, is named after his younger daughter). MySql is an open source relational database management system. Read more about MySQL on Wikipedia. Or check out the reference manual here. Or use brew install mysql if you have homebrew installed. Download and install the workbench if you want to use an IDE for querying MySQL (I prefer DataGrip). You should read this documentation on the Workbench. In a future post, I will be using RStudio to query a database using the RMySQL and RMariaDB packages. Follow these instructions here for installing the database drivers on your Mac. These commands are entered into Terminal. I need to install the connectors for MySQL and MariaDB using brew install mysql-connector-c in Terminal. After updating Homebrew, the connector is installed. I will also install the mariadb-connector-c connector. Now we can launch MySQL. The commands below are entered directly into Terminal. After installing MySQL community edition, you can choose to either run commands from the terminal or within a .sql script in the workbench. Below I demonstrate using MySQL from the command line. To see the User and passwords, enter the following commands into the Terminal. The authentication_string will identify the passwords (but they are encrypted). NOTE: a semi-colon is needed at the end of each MySQL command. The MySQL commands are working! Let’s build a database! The lahman2016 database is freely available full of information on baseball players and teams from 1871 through 2016. You can download it here. After downloading the zipped database into a local data folder I find the following files. The readme2016.txt file tells me more about the tables in the database. In a new Terminal window, I navigate to the lahman2016-sql folder and enter the following commands. After entering my password into the Terminal, I need to run the lahman2016.sql file. I can do this using the source command in the MySQL prompt. This should show a lot of activity and output, but eventually bring back the MySQL prompt. I can check the databases using SHOW DATABASES;. Now that I’ve set up the lahman2016 database, I can use it to demonstrate a few MySQL commands. I will start by selecting this database. This prompts the following message. Now I can take a look at the tables in the lahman2016 database. When I look at the Master table, I see that it was made without a primary key. If I want to update the table so the primary key is playerID, I can do this with the commands below. Then the Master table returns this when the SHOW CREATE TABLE command is entered into the prompt. Another way to execute MySQL commands is by creating a .sql file and running these files either from the command line or using the source command from the MySQL prompt (like I did above). This method is preferred because it is more reproducible (and it is easier to keep track of your work). For example, if I want to collect data on Ken Griffey Junior and Senior, I can use the MySQL prompt to build up the query. Get the names of the columns in both tables. Decide which columns I want using a SELECT and INNER JOIN query. Write commands to create a new table (Griffey) to insert the Griffey data into. This is where the previous column information comes in handy. Use source from the MySQL prompt to execute the file. Now I can check this new table using DESCRIBE. 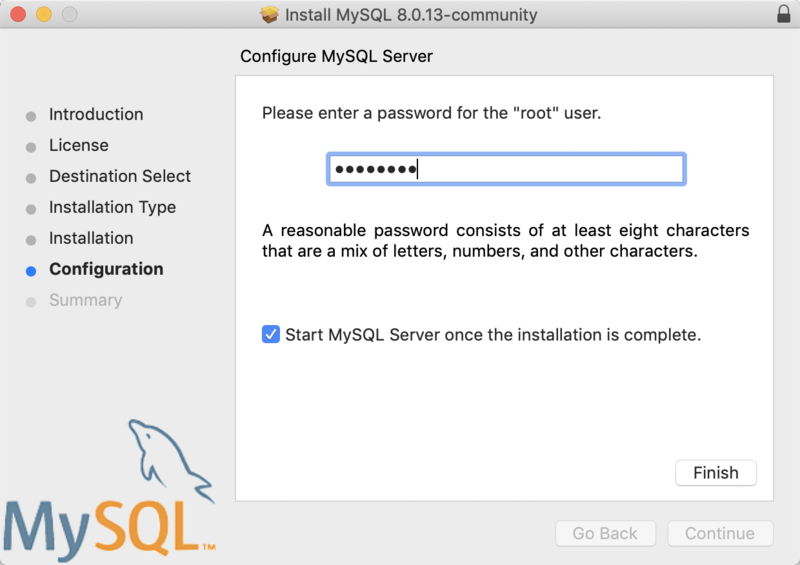 The command to exit MySQL is–you guessed it–exit.